Achieving a lean mid-section can be a drawn-out process….if you don’t know what you’re doing. This is why I am very excited to share with you some really cool nutrition stuff from my interview with Isabel De Los Rios. Isabel is one of the leaders in the industry, and she is just really, really cool. She has a lot of practical experience, plus for all of our females, Isabel is the proud mama of a new baby, and she is going to talk a little about post pregnancy nutrition later in this series. So, let’s begin with part 1, as we discover how to eat healthy on a busy schedule. Craig Ballantyne: Hi everyone, this is Craig Ballantyne from TurbulenceTraining.com and today our guest is Isabel De Los Rios from The Diet Solution Program. Isabel, welcome! Isabel De Los Rios: Thanks, Craig. I am happy to be here. Craig Ballantyne: Why don’t we you share a typical day in the life of Isabel, the type of meals that you have and the schedule that you have now that you have the little guy? Little guy or little girl? Isabel De Los Rios: Yes, little guy. Isabel De Los Rios: He is about eight months now. So, I’ve had about eight months to figure it out, but I still haven’t figured it all out yet. Well, basically now being a Mom, and a lot of parents can relate to this, you really have to stick to a schedule that works around them. No more jumping on the computer at 8:00 pm or anything like that, so I’ve really had to do MORE PLANNING. Now, I was always really good at planning even before, because anyone knows when you start a healthy eating regimen, there is some planning. You’ve got to think about it, and you’ve got to plan. So, there is a little more forethought that has to go into every single day. What has been helping more now than before is I have been eating a LOT of the same things repeatedly. Different things every single day, but I have found my favorites, and I’ve got A GOOD SYSTEM as to how I make those meals and those foods. I do tell my clients, if you can kind of figure out five meals that you can make with your eyes close, or you know the ingredients, you know how to put those together and they’re easy for you, make sure you have those, because it will make your day a lot easier. So, for me EASY STUFF is in the morning…. Oatmeal and two eggs, whether that hard boil eggs or scrambled eggs I can get that going pretty quickly. My SNACKS are pretty much always raw nuts and fruit, and if I get hungry I snack on the raw nuts, Brazilian nuts, cashews, almonds, walnuts, whatever it is. I usually bring down, you know an apple, or pear or banana, something like that. That is something that people can bring into the office. Just because I work from home doesn’t mean I’m upstairs sitting in the kitchen. LUNCH for me, I do take a lunch break, is almost always leftovers from the night before. That is just super duper easy, because if you’re going to cook you might as well cook enough to have leftovers. If you have kids, especially a baby, if you actually get the time to cook make sure you cook more than enough that it is not just one serving. So, lunch will be leftover chicken legs, a leftover meatball. A couple of nights ago I made a turkey meatloaf. That’s pretty good leftovers. And then whatever vegetables I made. I always try and have chopped veggies ready in the fridge. And then again, back to my office snacking on the raw nuts and fruits, and then whatever I have set up for dinner that night. That’s basically my day. I work a 9:00 am to 5:00 pm day and do the usual breakfast, lunch, dinner and two snacks, just like I teach my clients and readers in the DST. Craig Ballantyne: Cool. So, I guess that also when you said make sure you have your FIVE MAIN MEALS or whatever, that really makes grocery shopping then a lot simpler than as well too, right? Isabel De Los Rios: Yes, it really does. It’s not like oh you’re carrying around the recipes that you just printed out. And I like to do that too, because you always want to be trying new things, but realistically you’re not going to break a recipe every single day. I wish I had the time for that. But, I pretty much know how to make my chili now, so I can just run into the super market and get that stuff. Also, certain things you want to keep on hand all the time. You know what spices you have on hand, you always want to have, let’s say if you like chili, peppers on hand so you know you can make them. If you put beans in your chili you get some beans. Things like that. Yes, it does, it makes it a lot easier, because after maybe just two times of making it, you just know exactly what to put in and when, and what you have to buy. Craig Ballantyne: Cool. While we are on that kind of topic, any other grocery shopping tips? Everyone knows you kind of walk around the outside as opposed to going in the middle and avoid the junk in a bag or a box. Anything else that people generally don’t hear from experts when they are talking about grocery shopping tips? Isabel De Los Rios: I don’t know if this is something that people don’t generally here, but I find that I have to walk into a store with a list. I really do, because since I had a kid, I lost brain cells or something. If I don’t have a list I find myself forgetting things that I need. So, I keep a little magnetic notepad on the refrigerator and as something comes to my mind, I just write it down. Even if I am on the phone with a friend, and she says, “I made xyz for dinner.” I’m like, “What a good idea,” I write it down on the list, and when I go to the store I take it with me. So, what happens if you were planning on making something and you forgot to buy an ingredient? Its easy to say “Lets just order something.” That is not necessarily a healthy meal. I know that making up a list is not something new, but I know a lot of people just walk into the super market cold and buy the first thing they see. This isn’t a good plan. Craig Ballantyne: Yes. And you know what? That’s a great tip and it applies just as equally to training. Most people they go into the gym without a plan, and they wander around thinking, “What should I use?” This even happens to me when I travel, and I don’t really think about what I am going to go into the gym to do. So, it’s a really good point. Now, another thing that you mentioned there was the recipes, and you mentioned making the turkey meatloaf. Now, let’s say someone has a book of traditional recipes; they don’t have you know like the highest quality recipe. Are they any simple tips that you can generalize that someone could add to a regular meatloaf recipe, for example, that will improve the quality of it? You know, simple tips like substitute this for this in all most every recipe, and you’ll get results. Well, what I do is I either go through any recipe book or even just the internet and look for what it is that I want to make. Then usually what has to happen is it will call for a low quality cooking oil like canola oil, which I don’t recommend, or some other vegetable oil that I know people should not be cooking with. So, I recommend cooking with either coconut oil or butter, especially if it is high heat. Nine times out of ten you can replace whatever the unhealthy oil is with coconut oil or butter. Really, there are very few recipes that you can’t do that. Now, if you want to use olive oil instead, well then you want to keep the heat down a little bit, because olive oil is not as heat stable as coconut oil or butter, so just keep the temperature down a little bit more. So, there is the oil that you’re going to replace. Now, the other things are things like breaded products, and like bread crumbs. Those are all things that you can do with healthier versions of white bread or white bread crumbs. So, you can take a sprouted grain bread, and you can toast it and you can make bread crumbs. Or you can cut it up in small pieces, season them with garlic powder or salt and pepper, put them in the oven and make croutons. So, even the breaded part of most recipes can be replaced. I’m trying to think of some other things. I even found a Sheppard’s pie. And now Sheppard’s pie has a lot of mashed potatoes and I did mashed cauliflower instead and it came out great. So, you just have to remember what the healthy foods are and most recipes can be switched around. Some recipes there is like no hope for them, but that’s okay because there is not that many of them. Most times you can adjust the recipe and make something healthy. Craig Ballantyne: Yes. One little question I had there. What is the exact temperature, or how do you exactly cook with olive oil? Does that mean if you are cooking eggs you keep it under seven on the burner scale, or do you just not use olive oil when making eggs? I’ve never been an expert on that. I’ve always wondered. Isabel De Los Rios: Yes. If I’m going to use olive oil, I mean I have the heat on the lowest setting on my oven, and everybody’s oven is different. It’s really, really pretty low. But, where coconut oil and butter you can just kind of jack the thing up as much as possible, and it’s going to be okay. 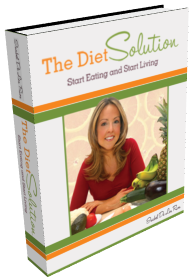 I explain all about these cooking oils in my book, The Diet Solution Program. Now, the one thing with butter though is you don’t want to cook so high that it turns brown. You’re actually damaging the fats. I’m sure you’ve seen a lot of people you know you cook, and it’s browned, because the butter has been heated so much. That is something that you have to watch out for. But, olive oil is such an awesome food if it is raw; you want to use it raw as much as possible. Jump a head to part 2 if you want to know how Isabel recouped her pre-pregnancy body so quickly, and also, how she succeeded with her own body transformation years ago.